Physiology of PPID | ECIR Group, Inc. 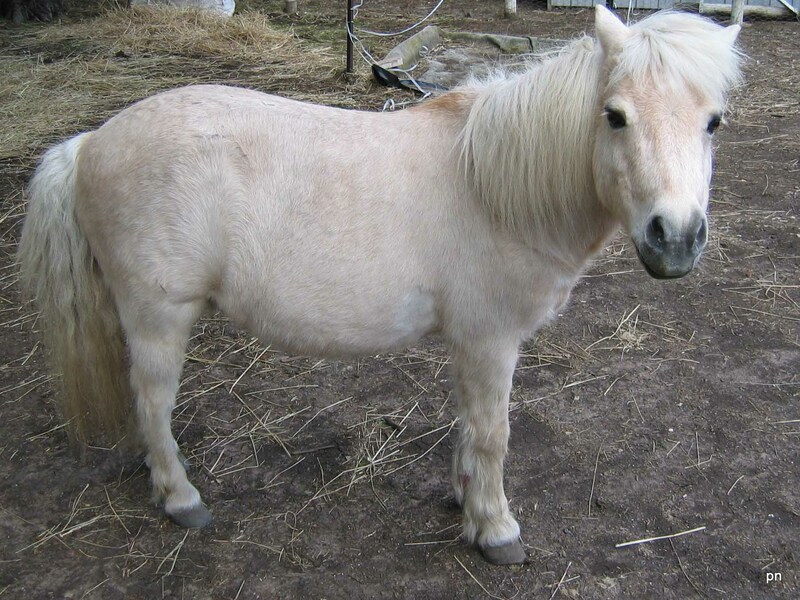 In the horse, what is commonly called Cushing's Disease is caused by hyperplasia (enlargement) or adenoma (benign tumor) in a portion of the pituitary called the pars intermedia (intermediate lobe). Therefore, to be more accurate in describing it, the term PPID — Pituitary Pars Intermedia Dysfunction — is really the correct term. The pituitary is located on the undersurface of the brain, above the roof of the mouth, and is often called the "master gland" or "control gland" because it secretes hormones that control the functioning of other glands. The pituitary gland secretes ACTH (adrenocorticotrophic hormone), which controls the production and secretion of the steroid hormone, cortisol. Production of ACTH from the anterior lobe of the pituitary is the major source under normal conditions and is controlled by negative feedback from levels of circulating cortisol. ACTH is not the only hormone to be elevated by PPID. ACTH is derived from a protein called proopiomelanocortin, or POMC for short. POMC is located in many areas of the brain and even throughout the body tissues. The hormones beta-endorphin and alpha-melanocyte-stimulating hormone are also produced from POMC. The POMC is produced in cells called melanotropes. POMC is converted to the above hormones by enzymes called "prohormone convertases". Under normal conditions, most of the horse's ACTH is actually produced in another area, the pars anterior. With PPID, however, high output from the pars intermedia becomes the dominant source. POMC conversion into other hormones in the pars intermedia is normally regulated by dopamine. The dopamine originates from neurons in the hypothalamus. In PPID, oxidative damage in the brain destroys these neurons. As the dopamine producing/dopaminergic neurons are lost, hormone production from POMC goes unchecked. In addition, the dopaminergic neurons supplying the pars intermedia actually originate in the hypothalamus. In the hypothalamus, dopamine also controls the release of the hormone prolactin. 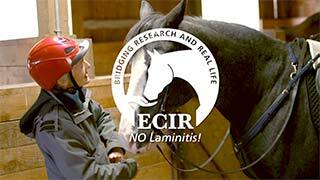 A study done at Cornell using blood samples from some PPID horses owned by ECIR Group members found elevated prolactin in mares with udder enlargement and/or leaking milk. While cortisol receives some "bad press" with PPID horses, it is responsible for a number of normal, healthy physiological responses. 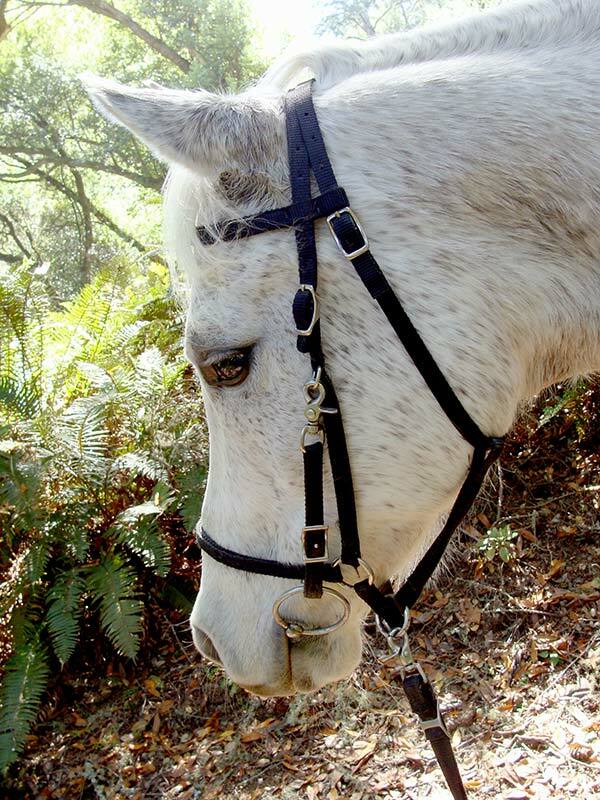 A cyclical change in cortisol levels occurs in normal unstressed horses throughout the day. Cortisol rises with fasting and sleeping, helping to maintain normal blood glucose. Cortisol secretion also jumps during exercise and as part of the flight response, liberating glucose for energy. Levels drop again when the exercise stops. Cortisol is an important regulator in the immune system. It directs key trace minerals into antioxidant enzyme systems (superoxide dismutase), protecting the tissues from the effects of bacterial endotoxins and inflammatory reactions. Cortisol also stimulates detoxification pathways in the liver. These are all normal and very beneficial effects of cortisol. Cortisol production is elevated in PPID horses largely due to ACTH and can cause a degree of resistance to insulin in a horse not otherwise prone to insulin resistance. Excessive secretion of cortisol will also cause immune deficiency causing increased susceptibility to infections, interference with normal protein metabolism, which results in muscle wasting and pendulous abdomen (due to thinning of skin and weakening of abdominal musculature and connective tissue). Cortisol also significantly reduces AMPK-AMP activated protein kinase activity in fat and muscle. When AMPK is activated by rising AMP levels (See Physiology of Insulin Resistance), it triggers increased glucose uptake by the cell, increased burning (oxidation) of fats, and production and mobilization of GLUT4 glucose transporters (the insulin sensitive ones). AMPK is also active in the liver where it suppresses production and release of lipoproteins and suppresses production and release of cholesterol. The ability of the thyroid hormone to stimulate AMPK may be why some horses benefit from thyroid supplementation, particularly if the horse tests low. There are so many subtle changes with PPID not picked up with current blood diagnostics that, symptomatically, it is often the early cases of PPID that owners and veterinary practitioners miss.